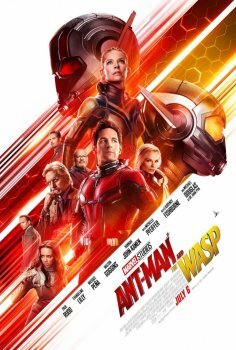 Ant-Man and the Wasp - Available as a download or stream? "Ant-Man and the Wasp" is the twentieth installment of the Marvel Cinematic Universe, and the second movie to star Paul Rudd's portrayal of 'Ant-Man'. The film is planned for a wide release to cinemas on July 6th, 2017, with Peyton Reed returning to direct. Though it will be the first film released after the third 'Avengers' movie, the plot takes place prior to events of the movie. Most of the supporting cast from the first 'Ant-Man'will be returning for the sequel, as the original was box office success despite not fitting the mold of typical Marvel movies. From chineese source. Has Watermarks AND chineese hardcoded subs. Evangeline Lilly posted on her official Twitter account yesterday, revealing the very first image of her in "The Wasp" costume.